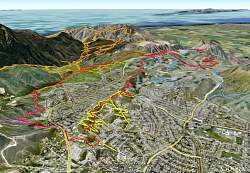 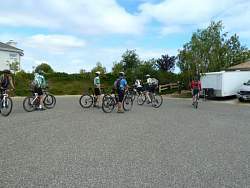 Our route, in red, as seen from Google Earth, looking from the north-east. 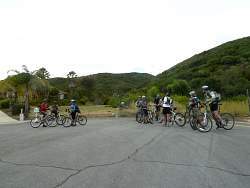 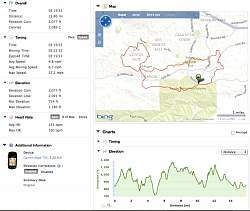 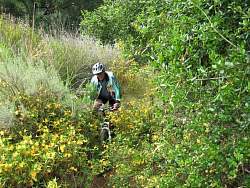 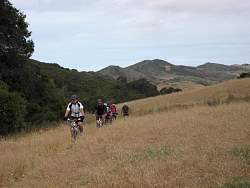 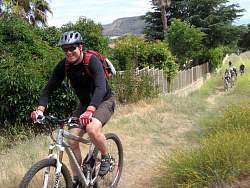 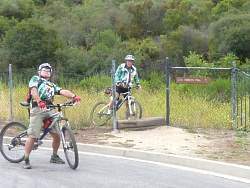 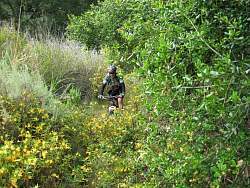 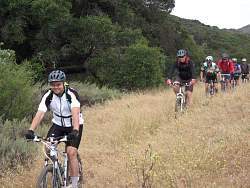 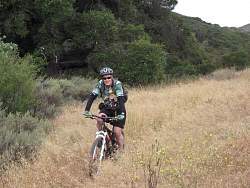 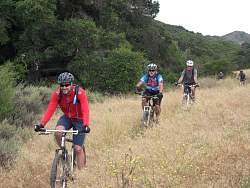 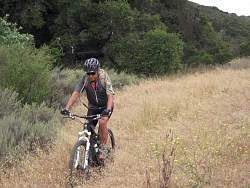 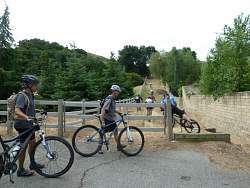 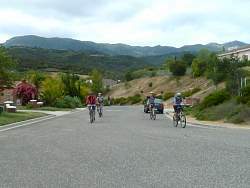 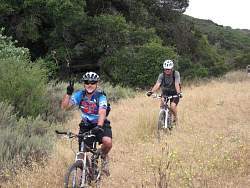 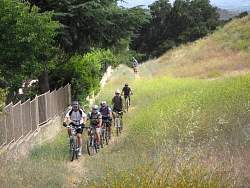 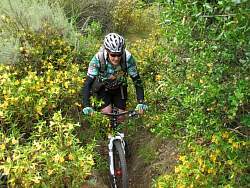 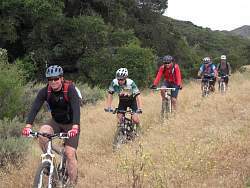 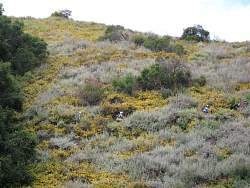 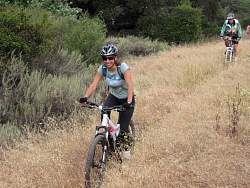 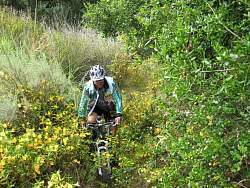 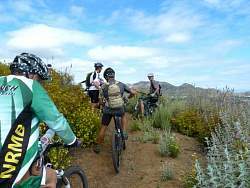 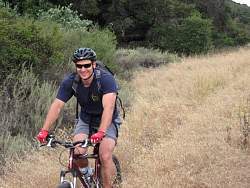 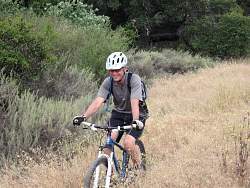 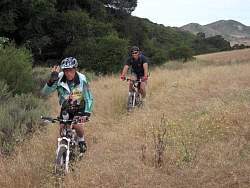 Newbury Park trails are yellow, Dos Vientos are light blue and Sycamore Canyon trails are orange. 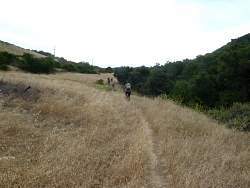 Starting off on the Sycamore - Los Robles Connector trail, from near the back. 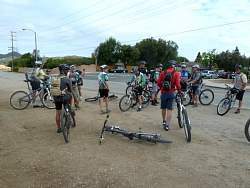 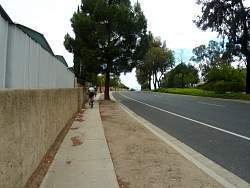 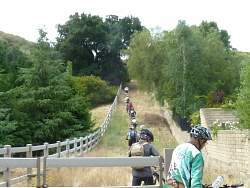 Starting off on the Sycamore - Los Robles Connector trail, from near the front.